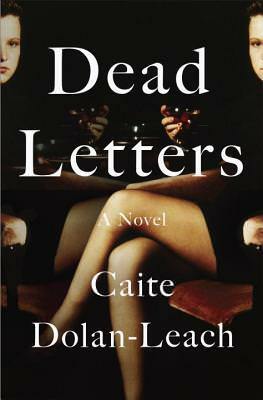 I was already sold on Dead Letters, but now even more so! I WILL be reading this book. It’s just a question of when. Loved your review!! I started reading Dead Letters the other day and was instantly grabbed by Ava’s voice. She’s so fiery! I thought it was interesting how the author combined several clichés in one but in a way that still made the family’s dysfunctionality feel unique. Great review! I completely agree about Ava’s voice. I was sold within 2 pages! I just got a copy of this in my Book of the Month box. I haven’t heard much about it but the few people I’ve seen reading have rated it very highly. I literally heard nothing about it until after it was released, which is odd. I would’ve thought there would be more marketing dollars behind this one. I’ve been hearing so much about this one, can’t wait to get to it! I’m still waiting on my copy to come from BotM – hopefully by Friday. Your enthusiasm is really coming through about this one. I agree on the cover not being great, and I can’t remember much about the synopsis. I just remember the high recommendations made for this one. Ha-well glad my intentions were coming through! And best you forget as much of the synopsis from the blurb as possible…just start reading. This sounds fascinating! I am definitely going to add it to my wishlist! I agree; I’m so thankful that I didn’t look to far into this one and, when you and Catherine suggested it, I simply ordered a copy and started reading! I try to do this pretty often because I am continually burned by marketing descriptions…although, as evidenced by my recent read of Behind Her Eyes, I am still a sucker for some of them – ha! I know, right?! I feel like people are getting burned by the Lisa Bellow description right now, which makes me really sad. Going in expecting a pure page turner, which is not what that book is…but I’m really enjoying it so far! I wouldn’t have looked twice at this book, either, because of the cover. That’s what book bloggers are for, right?! This one is on my radar screen, so I’m so glad you are recommending it. I’m just waiting for a library copy to become available. I don’t want to read too much of this because my copy just showed up and I’m going to try and read it on a plane tomorrow. Will come back and revisit. I’m hearing such great things from all fronts, can’t wait to dig in! I did happen to see the FNL bit while skimming, will have fun looking for that! Yes, go in blind and enjoy! Whew- glad this recommendation worked so well! And I completely agree: What is up with that cover? It doesn’t make sense at all. Thank God, we ignored it. I also do not understand why there was no pre-pub noise about this one. I didn’t see it as a recommendation in any of the magazines. What do you think about movie potential? All that booze, identical twins, and a mystery? Could be amazing. I didn’t like this one as much as you two did, but it certainly entertained. I hadn’t even thought about movie potential, but I think it would translate well. Do we have any acting twins other than the Olsens? I actually think they would fit the bill rather perfectly. Awh – sorry you didn’t love it as much 🙁 Interesting thought on the Olsens…I’d sort of thought one actress would play both girls. And I hadn’t really settled on anyone yet…BUT I’m thinking Liam Hemsworth for Wyatt?? I’m so baffled as to the lack of pre-pub noise on this one. I actually have a gym buddy who is in a book club with a Random House marketing person, so I told her to ask! Will let you know what I hear. Movie – hmmm…my first thought is that Liam Hemsworth must play Wyatt. And would be interested to see how they handled Zelda. Would they do her character in flashbacks? Do think the plot and snappy dialogue would be great movie material. I just added this to my “to-read” list. very exited about! I’d not heard much about this, but I’m very interested based on your review!